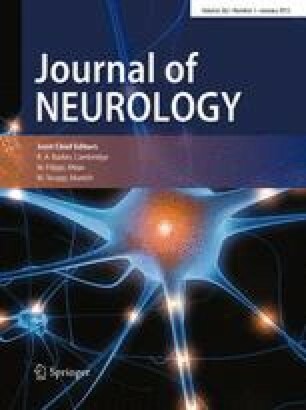 Previous MR studies have established that grey matter (GM) atrophy occurs in multiple sclerosis (MS) from clinical onset. However, it is uncertain whether early GM atrophy is global or has certain local predilections: using Voxel-Based Morphometry this study aimed to address this question. Twenty-one patients with early RRMS (mean age 36 years, mean disease duration from symptom onset 25.8 months) and 10 healthy control subjects (mean age 37 years) were studied. T1-weighted three-dimensional MRI images were acquired at baseline and two year follow-up, and analysed with statistical parametric mapping software (SPM2). Two-sample t-tests (p < 0.05 corrected for multiple comparisons at cluster level) were used to compare GM maps from all patients and controls on a voxel-by-voxel basis. At baseline, no GM region appears significantly atrophic in MS subjects compared with controls. However, during the follow-up period significantly greater atrophy occurred in both thalami and the right lateral prefrontal cortex of MS patients when compared with controls. By year two, cross-sectional group comparison revealed GM atrophy in the thalami of MS patients relative to controls. The rate of thalamic atrophy in MS subjects was correlated with changes in EDSS during the follow-up period. This study suggests that early in the clinical course of RRMS, the thalamic atrophy is more consistently apparent than regional cortical atrophy. The NMR Research Unit is supported by the MS Society of Great Britain and Northern Ireland. Dr B Audoin is supported by the French Association for Research on Multiple Sclerosis (A.R.S.E.P.). We thank Drs C Griffin and W Rashid for assistance with patient recruitment, Dr J P Ranjeva for methodological advice, and Dr M Tiberio for performing the volumetric analyses.